Thrust bearings are designed to manage high axial loads by allowing rotation between parts that run parallel to the shaft. There are many different types of thrust bearings available including: thrust ball bearings, tapered roller, spherical roller, fluid and magnetic bearings. Common applications for thrust bearings include: automotive, marine and aerospace applications such as gearboxes and rotor blades. A thrust bearing is a particular type of rotary bearing which is normally made up of two raceways which hold the rolling elements in place. 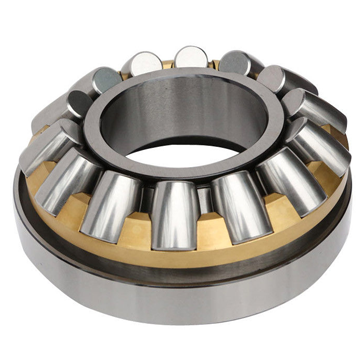 Ball thrust bearings have ball bearings supported within a ring and are typically used in low radial load applications. Roller thrust bearings are composed of cylindrical rollers and have high load capacities in comparison to equal sized ball thrust bearings. At Hunt Bearings we supply all types of bearings in both metric and imperial sizes and only provide authentic parts from a range of trusted manufacturers. Thrust bearings can be found in a range of application including modern car gearboxes where they are used to aid in smoothness and noise reduction. Whether you know exactly what bearings you need, or would like a hand finding the right solution for your application, our expert team will be happy to help you. For a free no obligation quote or for advice and support please get in touch today on 01256 761067.